Swirls of vibrant red wind around this 21mm(approx. 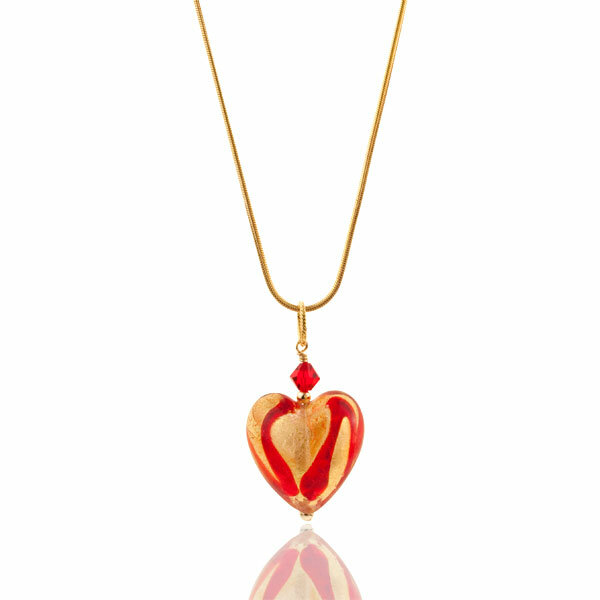 3/4 inch) tall Murano glass gold foil heart pendant. Please note that the pattern is random as each glass heart is made by hand. 18 inch snake chain sold separately.